It’s 11 P.M. Do You Know If Your Business is Secure? Small business owners are constantly faced with the nagging concern that they cannot be two places at once. With small business security systems from Secom, you practically can be. Manage all of your small business security systems through Secom’s single, simple, and intuitive user interface. Security, lights, locks, temperature controls, and more can be tracked and managed using our website dashboard or app, and our comprehensive video surveillance solutions allow you to keep an eye on all coming and goings while you are away. 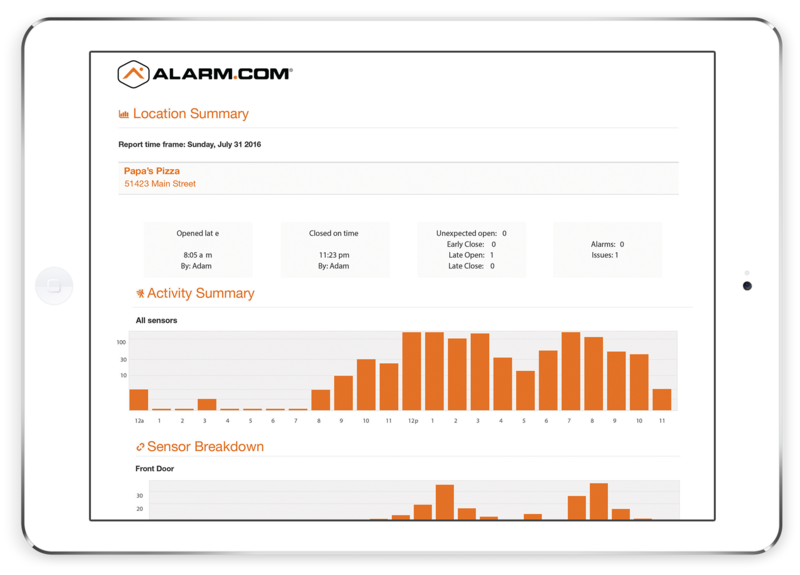 With security solutions from Secom, break-ins automatically prompt an alert to authorities without requiring any action on your part. Additionally, our remote access allows business owners to cancel a false alarm – or verify that help is needed – from virtually anywhere in the world. That means you can rest easy knowing that your small business is safe and secure, 24/7.